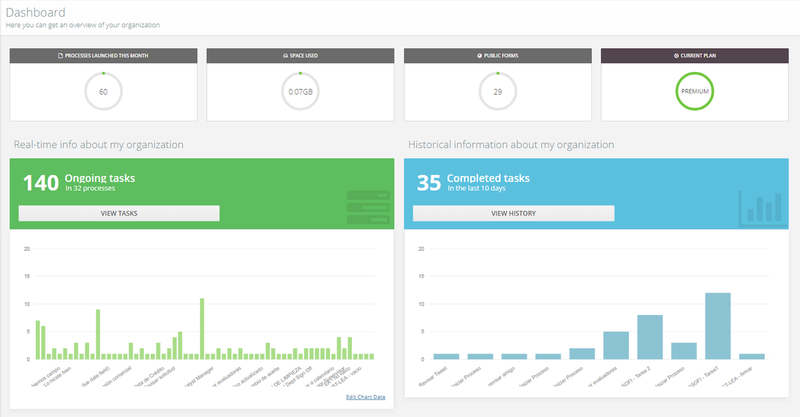 Flokzu is much more than an app that centralizes your processes. It also helps you improve your efficiency by analyzing the overall performance of your organization objectively. 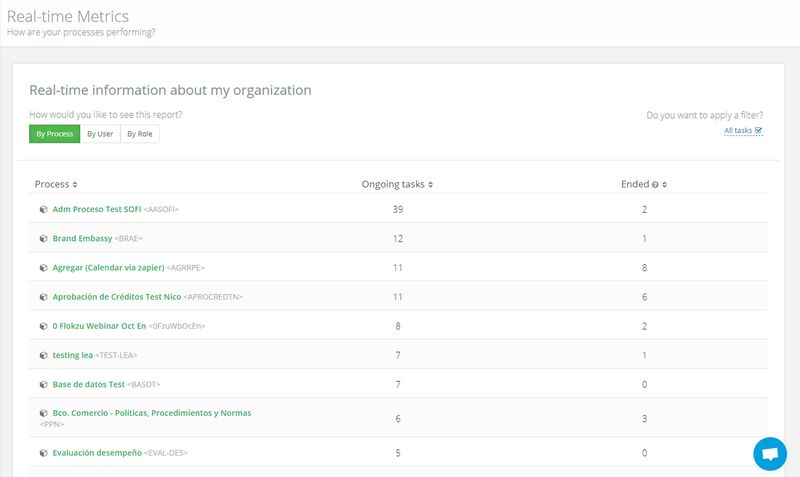 You can analyze the performance of your organization instantly through the &apos;Metrics & Reports&apos; section. Bear in mind that only deployed processes will appear in this section. Warning: Only the users that have the Administrator role will be able to view the metrics by Process, User and Role. The rest of the users will only be able to view the metrics by Process. Explore the information of all your processes by clicking on the data that you want to analyze. You can navigate through different levels. For example, for each particular process you can see what tasks are pending, to whom and how long ago they were assigned. This can help you identify stages that set back your process, analyze where the bottlenecks are and create new strategies to improve efficiency. You can choose to display the report by process, user or role. Each option will generate a different view of the data. To learn more about the meaning of the labels, you can select the question mark and a brief description is displayed. In the &apos;Metrics & Reports&apos; section, you can filter the information of all your active processes by user or role. Simply click on the &apos;By User&apos; or &apos;By Role&apos; tabs respectively.